Though HIV is widespread in almost all spheres of life, this paper will mainly focus on the stigmatization of AIDS victim in the public sphere. Finding a solution to these problems will lay a path to fighting such stigmatization in other areas of life. Everywhere across the globe, people are affected by HIV/AIDS. Though these people more than often end up being subject to discrimination and a stigma revolving around this disease, the positive side is that through this epidemic, population afflicted by it fights against the disease collectively. It is important to understand that a society of stigmas and discrimination gives rise to a culture of obliviousness, muteness, mystery, guilt, embarrassment and victimization, and this leads to people being shunned by society, expelled from job, termination of education, absence of aid and loss of property rights. The mindset of people affected by AIDS about the general public, regarding themselves, can stop them from seeking health care, being interactive in the society and address their illness effectively. It’s vital to understand the meaning of the word ‘stigma’, which is believed to be a process of corrosion and not a thing. The act of treating people differently on the bases of their caste, colour or status demonstrates the arbitrary nature of this process. Speaking within the ambit of HIV/AIDS, biased and intolerant notions towards such people advances actions that disallow them from procuring any amenities or privileges. Instances of this are repeatedly found in workstations where people are exploited to situations of being socially secluded and mocked. They are often at the brunt of being refused or terminated from their jobs. Nevertheless, employers must show sensitivity and act responsibly in the situations where their insensitive discriminatory behaviour and the apprehension of their response towards the people are proved to be one of the biggest reasons for the anxiety. HIV infection in the work sphere is the greatest danger to the work sphere, as it has major influence on the employees and the company, and the epidemic is responsible for an upsurge in manpower costs and diminished output. 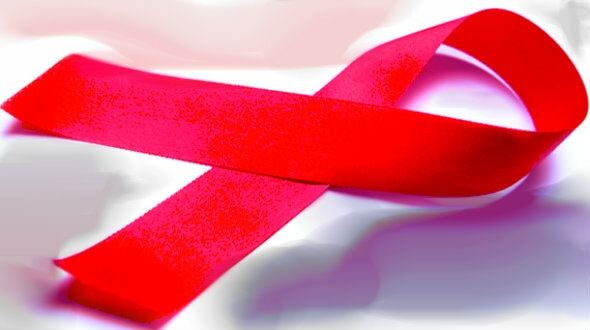 AIDS has been a big concern in the public sector. In nations with the most number of HIV cases, it has been observed that there has been a tremendous cut down in manpower and a drop in the income level of the workers in the public sector. Further it impacts the performances of companies and organizations negatively and the gross income of the country declines drastically. Nonetheless, the manner in which this matter is tackled in the workplace can effectively limit the reach of the disease. Discriminatory practices or stigmatizing people on the grounds of them being affected by AIDS should not be allowed. Article 14 and 15 of the Constitution talks about equality before the law, and these Articles are being challenged in workplaces where discrimination and stigmatization against women, carrying the HIV virus, happen. Thus, it is crucial to preach gender equality and uplift women and empower them to successfully manage and survive the epidemic. Moreover, provisions of Article 21, which states that everyone has a right to life, liberty and security is being challenged when companies from the public sector deny people the opportunity to earn their livelihood indicating that their right to live and right to security are being ceased. Coming back to sticking stigmas surrounding the disease, and secluding people from societies and assemblies imply that the offenders are acting in violation of Article 19 (1)(b) and (c), as every person is guaranteed by the Constitution the freedom to form union, assemblies and associations as long as the purpose of those assemblies are held constitutionally valid. It is noteworthy that the Indian Constitution also made provisions by the way of Article 41 to provide every person a right to work in a proper and secure environment. So employers should focus on providing a work environment that is dynamic to the physical and mental state of health and competence of their employees. Steps are also being taken by the government to encourage people to come out in public and speak about their health. For example, drawing its attention towards the unjust treatment witnessed by the people inflicted by AIDS at workstations, schools, and hospitals, a bill was tabled, whereby the Rajya Sabha said that right to employment and right to education of a person will not be taken away from them, on the basis of them being tested HIV- positive. The purpose of the bill was to enable, encourage and support the concerned group of people to obtain and pursue medical help, without being subject to any kind of exemption. This bill, though yet to be passed, clearly stated that no employment can be taken away from the concerned person, unless there is a considerable and imminent threat of transfer of disease to other persons or when the identity of the person is kept hidden. This bill also makes it obligatory for the workplace to provide people, with HIV/AIDS, safe working environment, with special focus on women and children, as they are the weakest and the most vulnerable. Plus, organizations like the Lawyers Collective (Mumbai) beautifully protected the employees who were discriminated by getting fired for being infected with HIV. Stressing upon the persistent stigma, one substantial accomplishment in terms of this situation has been to sustain and maintain the ‘suppression of identity’ provision that permits people with the disease to register their cases within pseudonyms. To conclude, a society has a key role in forming and supporting stigmas, and also in stopping them from standing on ground. For a law to be applicable and implemented in a society, its members ought to contribute to its growth. Though new laws are being formed, they are still in the tunnel. Also, the existing laws are being crushed daily by the practices of employers who provide unconstitutional treatment. Therefore, in exclusion of any relationship between the law, cultural and societal values, and the essential modifications it will be impossible to treat this epidemic.